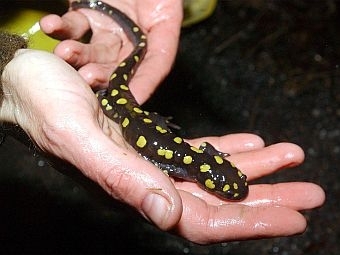 Vermont is home to 40 species of reptiles and amphibians. Jim Andrews from the Vermont Reptile and Amphibian Atlas introduces us to the snakes, frogs, lizards, turtles and salamanders that are creeping around out there. We learn where to spot them, what they eat and how they make it through the harshest of Vermont winters. To have your reptile and amphibian photos posted to our Gallery, email them to Vermontedition@vpr.net. And, the Farmers’ Night Concert Series ends with a reenactment of the special legislative session that was called 150 years ago to respond to President Lincoln’s request for troops and funding for the Civil War. We hear some of the speeches and songs that were part of the festivities. The American Civility Tour with Jim Leach, Chairman of the National Endowment for the Humanities.